Quitting drinking has a huge impact on your body – you get slimmer, healthier, and look younger. Here’s why the sober you is more attractive. 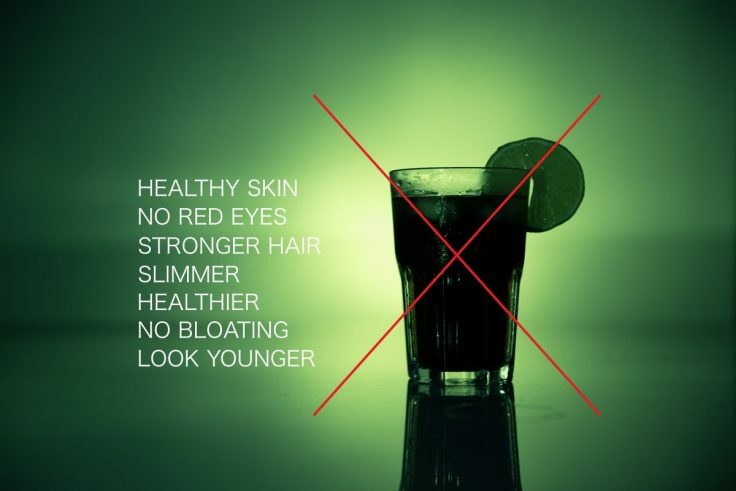 If you are looking for another reason to give up the alcohol, then you can potentially improve your appearance by doing so. You may not realize all of the damage that alcohol has done to your looks. However, there are many ways that you can improve your appearance if you quit drinking. Quitting drinking makes you more attractive. Healthy skin starts with healthy skin cells. Alcohol depletes your body of vitamin A which is one of the nutrients that your skin cells need to stay healthy. That is why your skin may develop a dull appearance after you drink alcohol. You can build your vitamin A back up after you stop drinking. Alcohol not only causes skin problems, but it can worsen the ones that you already have. One of the conditions that can be worsened by alcohol is rosacea. This is a condition that causes excessive redness on the skin. And alcohol worsens this condition by causing the blood vessels to enlarge. Alcohol can also dehydrate your skin. This can make you more susceptible to developing wrinkles. You will notice a drastic improvement in your skin conditions by quitting drinking. Alcohol can enlarge the tiny blood vessels in your eyes. This can cause you to develop bloodshot eyes (red eyes). Your eyes will be healthier if you stop drinking. And clear, healthy eyes will definitely improve your appearance. Alcohol can damage your hair the same way that it damages your eyes and skin. It can lead to hair dryness. When your hair becomes dry and brittle, it is more prone to breakage. Excessive drinking can also lower your zinc levels. Furthermore, if you smoke along with drinking, then you can do even more damage to your hair and skin. Cigarettes can cause hair loss and stunt hair growth. Alcohol can cause you to gain weight because of its high caloric count. This weight gain may go straight to your belly. This is known as the beer belly. A beer belly is not just a cosmetic issue. Studies have shown that people who have excess fat around their abdomen are more likely to have high blood pressure, heart disease, and type 2 diabetes. Studies have also shown that people eat 20 percent more calories when they drink alcohol. People also consume 33 percent more calories when they drink alcohol. Lipid oxidation is the process of burning fat. This process is temporarily inhibited when you drink alcohol. That is why many people still struggle with excess body fat despite the fact that they exercise. You can turn this process on again simply by quitting drinking. The belly is not the only part of the body that can become bloated after you drink alcohol. You may notice that your face is bloated too. The reason that alcohol causes bloating is that it causes the kidneys to work harder. And the kidneys try to conserve water instead of excreting it. There is a reason that people who drink a lot have a tendency to look much older than their actual age. Alcohol causes your body to age at a more rapid pace, and this will show on your face. It robs your body of the antioxidants that keep you young. It is also a toxin. You will age faster if you have a lot of toxins in your body. So quitting drinking can slow down the aging process and you can take a few years off of your look. If you want to learn how to quit alcohol for good, read this article on holistic alcohol detox. Whatever method you choose to start the process of quitting drinking, make sure to consult with a physician first. Professionals such as those from The Recovery Village can help you learn more about your drinking problem and eventually fix it. Being an addict or having an addict in your family is quite an unpleasant situation. But did you consider holistic recovery methods for help? Drug and alcohol abuse are serious problems that can keep you from living your life to the fullest. Here is how to overcome these adctions. Family plays an important role in fighting against drugs or alcohol addiction. Here's how you, as a family member, can help the addict. Why should you quit alcohol? Here are six ways in which your lifestyle will improve dramatically if you quit drinking alcohol today. What Are The Alcohol Effects On The Body? Heavy alcohol drinkers tend to avoid talking about all those alcohol effects on their bodies, but we won't. So here they are. Oxycodone addiction is dangerous for both your mind and your body. So knowing the oxycodone withdrawal symptoms can help you treat it. Substance abuse interventions use pressure from loved ones to help an addict. Here's how to prepare an intervention and make it successful. Did you even consider taking anabolic steroids to improve your fitness level? Well, don't do it. Here is why you should avoid them. Alcohol Detox And Detox Diets: What Is The Difference? Detox diets are very different compared to alcohol detox programs, but both share the same goal: flushing out the toxins from the body. Detoxification is just the first stage in treating addiction, so an aftercare treatment is necessary to stay sober for the rest of your life.